Today we have shared with you the list of most amazing language translator software. These are making the translation procedure easier and convenient. At the same time, you can save, process, and share the translated documents, files, and chat. So, let us not waste time and begin the list. 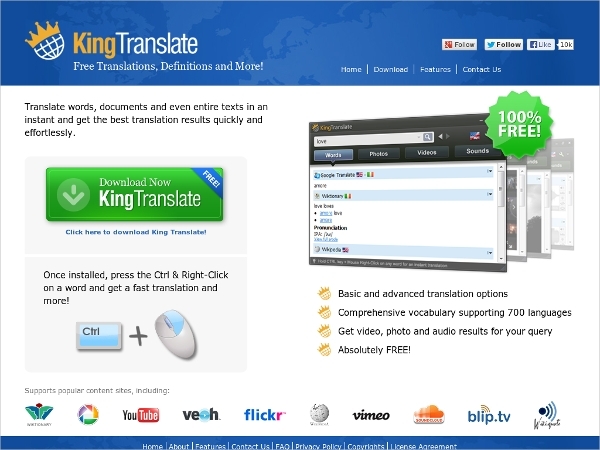 King Translate is a free translation software. It is one of the best language translator software for your computers. The most interesting thing is that it comes free of cost. This translates texts, documents, and words in more than hundred languages. This can make the procedure of translation easier, faster, and convenient. So, you just need to install this freeware and enjoy all of its specifications. QTranslate is another free language translator software. This is quite easy to install. You can access it easily on the internet. It is based upon Microsoft Translator, Yahoo Babelfish, Google Translate, etc. For getting facilitated from this tool, you would have to specify the desired texts and then push the hot key. This will automatically translate the documents and texts in no time. If you were looking for some free language translator software then this is quite useful and great for you. LangOver is yet another top notch and fully featured language translator software. This is free of cost and ideal for smartphone and computer users. Using it, you can conveniently convert the texts of a language into different languages. This gives you permission to translate the text by pushing the “F10” button on your computer keyboard. It is used both by professionals and basic language translators. Lingoes Translator is one of the finest language translator software. This is a free and multi-lingual translation tool for the users. This helps to translate texts or words into various languages. The interesting thing is that this comes free of cost. Using it you can translate texts in German, French, English, Italian, and Russian. For using it easily, you would have to type the desired text on the main interface and then click the button to get the desired results. This comes with plenty of specs and features you can never ignore to go with. Babylon is a free language translation software. Without any doubt, this is one of the finest and top notch language translator software. French, German, English, Russian, Spanish etc. Its core specifications are grammar checking, dictionaries and full text translation etc. So, if you are looking for a multi purpose tool then this is the right kind of choice for you. 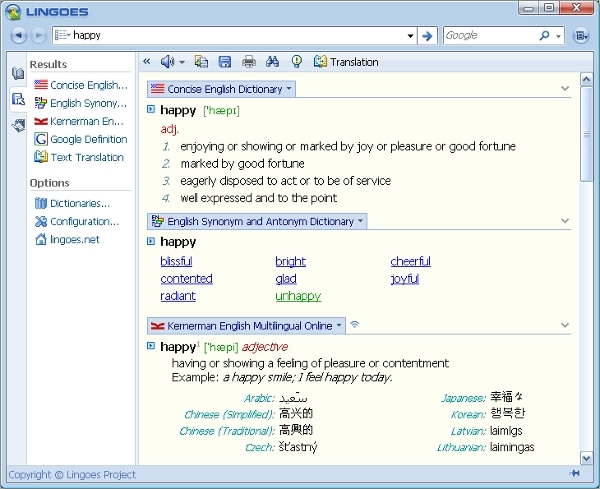 It is one of the language translator software that are free to use. This translates text from “Spanish to English” and “English to Spanish”. 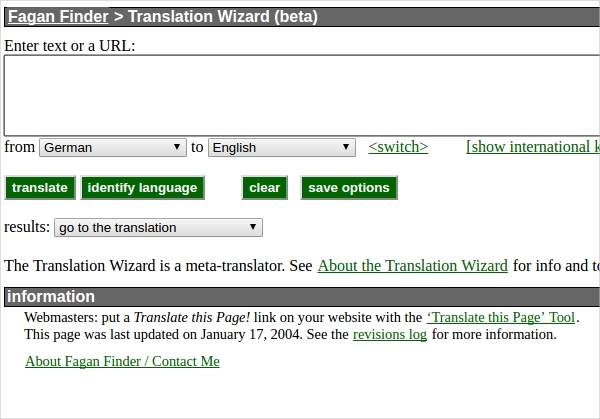 For using it, you need to choose the desired format and click the “Translate” button for desired results. The installation of the language translator software requires nothing so critical steps. You need to have a translating utility powered by Google Translate which enables you to translate texts into multiple langauges. Once the CD has been brought to home, then you can click the button of Installation and begin the installation of the language translator software. These feature automatic source language detection, accuracy calculator and even the options of creating dictionary with corrected so that you can enjoy improved translated pieces. Those who find it tough to communicate can give a try to these language translation software and tools. Using these tools, you just need to enter the source text on the left-side pane or drag a drop a document onto the program’s interface. 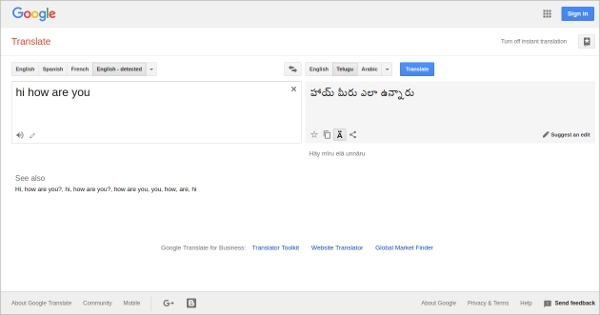 Then you can click the Translate button. While choosing the language translator software make sure it has come from the authentic source. We recommend that you don’t go with the ordinary and outdate software downloading platforms. Check on the internet of where the best language translator software are present. These will make your work easier, and their installation is just like 1, 2, 3—that’s so easy and convenient to go with. These allow you to translate texts, chat, and emails from English to various languages and vice versa.